Fotios Tsiouklas is only 16 and an entrepreneur proving that there’s more to the word than just owning your own business. 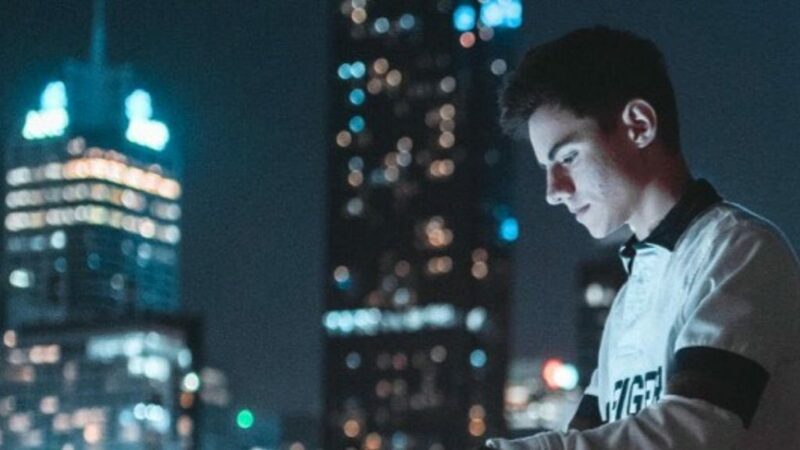 “The term is thrown around very lightly today,” the 16-year-old who has sold over 50 video games globally and owns a social media company with a weekly reach of 15 million people, tells Neos Kosmos. “It is often used to describe anyone who is self-employed. However, I believe it is so much more than being self-employed. An entrepreneur, to me, is someone who makes the impossible happen, every day. From a young age, I was often criticised by those around me for the ventures I chose to pursue. I was often told ‘you are too young’ or ‘you don’t know what you’re doing.’ This is a part of the life of an entrepreneur,” he stresses. According to Fotios, an entrepreneur is a resilient, persistent individual who is willing to push aside criticism and chase their dream. While most people only see the success stories, only a few see the hardships involved in getting to the levels successful entrepreneurs reach. Fotios discovered his passion for entrepreneurship at the age of 10, when he started his first website fotoz.com.au, a social media network for photographers. At the time, he was told by those around him that it wouldn’t work even after he created a business plan and sample website. “Later that year, a very similar website/app was released – Instagram. After seeing the success of Instagram, I was inspired to believe in myself and went on to pursue other ideas,” he says. Now a year 11 student at Balwyn High School in Melbourne, he is also completing two year 12 subjects, Greek and Business Management, while running a digital agency (arvada-apps.com) developing applications and software for companies and individuals. Through his agency, Fotios employs eight people to manage different areas of operations. “Through Arvada Apps, I have sold over 50 games across the world, I have developed educational software which is being used by childcare centres throughout Melbourne to educate children, I have mentored over 10 people in the app industry and I am currently working on a system that will allow people to build their own app for under $1,000 (with optional add-ons), which is relatively cheap, considering most app development agencies charge thousands of dollars just to design a user interface,” he explains. It didn’t take Fotios long to realise that establishing a digital agency takes a lot of hard work – especially as a teenager and he feels grateful his family has got his back. “At first, it is often hard to gain respect from those in business due to my age, however, results always speak loudest and my credibility is always established very quickly thereafter,” he says. Fotios’ parents have always been close offering valuable advice, motivation, encouragement, and knowledge along the way – especially during difficult times, helping him put things in perspective and ensuring he remains humble and level-headed as he says. Other than his family, Fotios’ business partner Daniel also inspires him in many ways offering the much needed space for improvement. He also looks up to Elon Musk, founder of PayPal, Tesla Motors, and SpaceX. Although, Fotios aspires to a life of success by creating something that would be known, used and appreciated world-wide his main goal is to excel at school. While running a demanding business he does not neglect his family and friends, an essential to remain a balanced individual. He also ensures his apps are helpful for others, especially children and young people. Fotios has created Tiny Town, which includes a suite of 10 apps targeted towards children aged three to five years old. The series has been tailored to the national curriculum and aims to provide an alternative option to the traditional, mindless iPad and iPhone games children play, by providing them with a fun way to learn. “The app has been tested and was a very big hit with kids, who refused to give me back my phone,” he enthuses. “We have this app currently being used by six KoolKidz centres throughout Melbourne and aim to launch this series in every independent childcare centre in Australia. Apart from building apps and creating video games, the 16-year-old boy wonder uses his knowledge in social media and his strong base of influencers to organise Greek events throughout Melbourne through his page Hellenic Clips (facebook.com/hellenicclips), working with some of the biggest names in the Greek community. His ingenuity does not end in the social media and IT realm. Fotios’ latest venture includes working with the founders of Australian company HiSmile to manufacture his own line of niche skin cosmetics. Have you ever felt that maybe you dream too much? I ask him. “I’ve always felt cosmetics and healthcare in general is a good industry to enter, however, most cosmetics companies use very conservative methods to market their products and present their products in a very traditional way. A different approach in social media, marketing, and online distribution could truly revolutionise the industry,” he says.